The prompt was: Inspired by Pinterest. 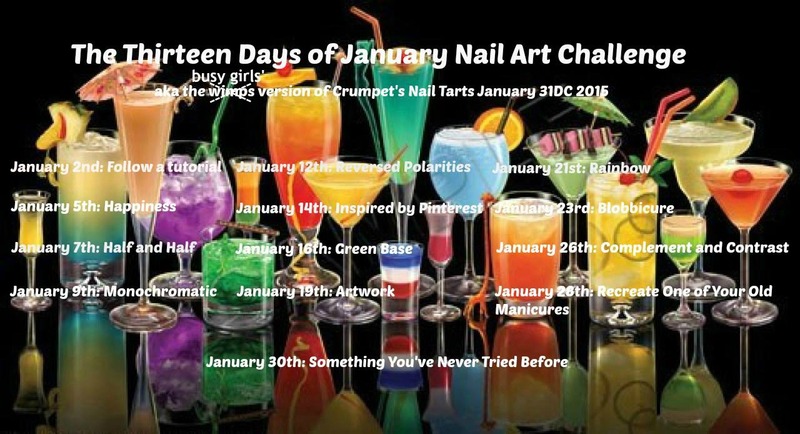 The manicure I found on Pinterest and my inspiration for this prompt is from Liloo Nail Art. For this nail art, I used 2 coats of Pahlish Ghost Lights as my base, Essie Matte About You, Sinful Colors Treasure Chest and some tape. The next 13 Days of January blog post will be on Friday.